I have been coveting a vegetti for a while now, because I love zucchini, and pasta dishes are not something I eat with wheat pastas anymore. Dreamfields turned out to be a big, fat lie, so I was right back to chunking zucchini or using spaghetti squash. Spaghetti squash is awesome, by the way, but not quite the same as real pasta in texture. 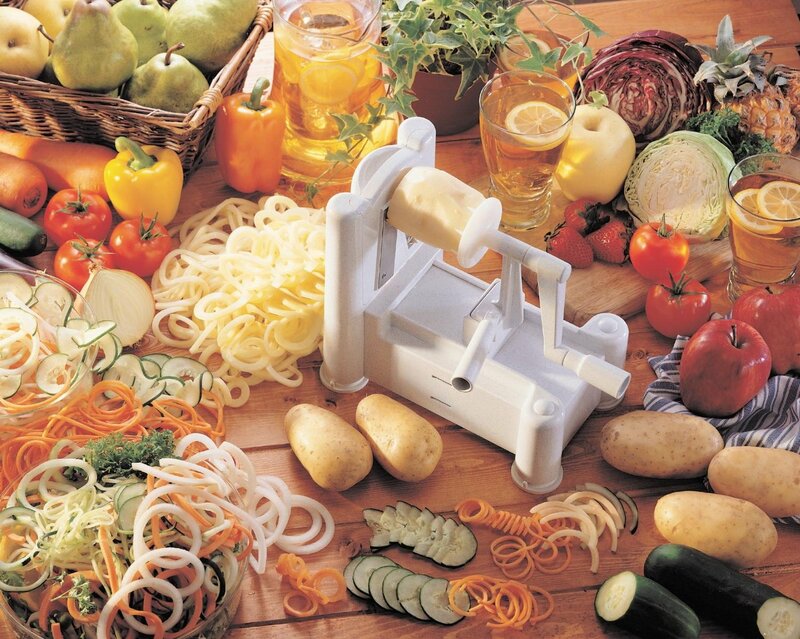 Alas…my amazing, wonderful, spectacular friend, Melissa, bought me a Paderno vegetable spiral slicer last week for my birthday. This is infinitely superior to a vegetti, so I consider myself very blessed and grateful, indeed! I have already used this baby THREE times since Saturday. I have eaten five whole zucchini in this time, smothered in chunky garden sauce and a little bit of ground turkey. On my agenda this week is alfredo sauce with grilled chicken breast. Why? BECAUSE I CAN. Guilt-free, veggie noodle deliciousness! 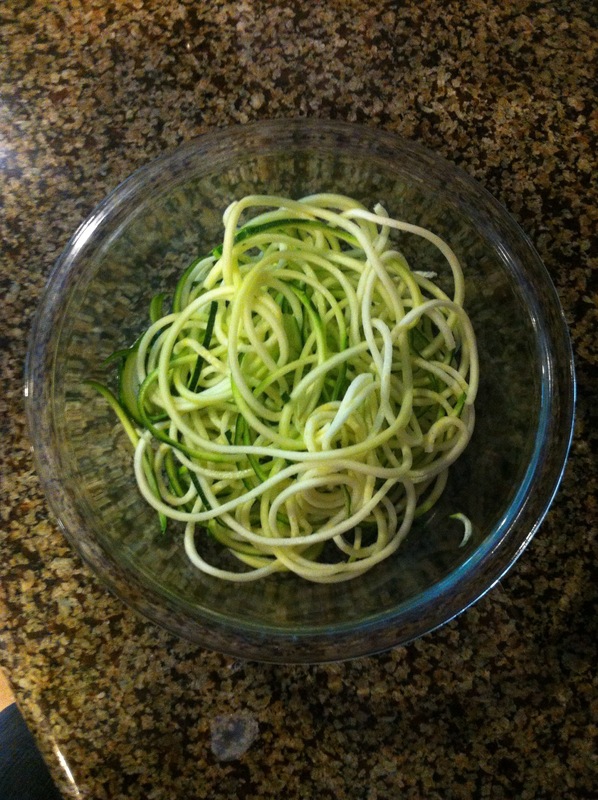 As you can see, the zoodles are very spaghetti-like, perhaps a bit thicker. You can use other vegetables, but I have a healthy obsession with zucchini and I really like saying, “zoodles.” If you can eat potatoes and sweet potatoes, there are other blades to make curly fries. YUM! You can eat the zoodles raw, but they are also a breeze to cook. If you like them with a bit of crunch, sautee them for about 5 minutes at medium-high heat with a little drizzle of EVOO. If you want them softer, toss them in the microwave and steam for 4 minutes, drain the excess water before adding sauce. Your choices for topping these are endless. 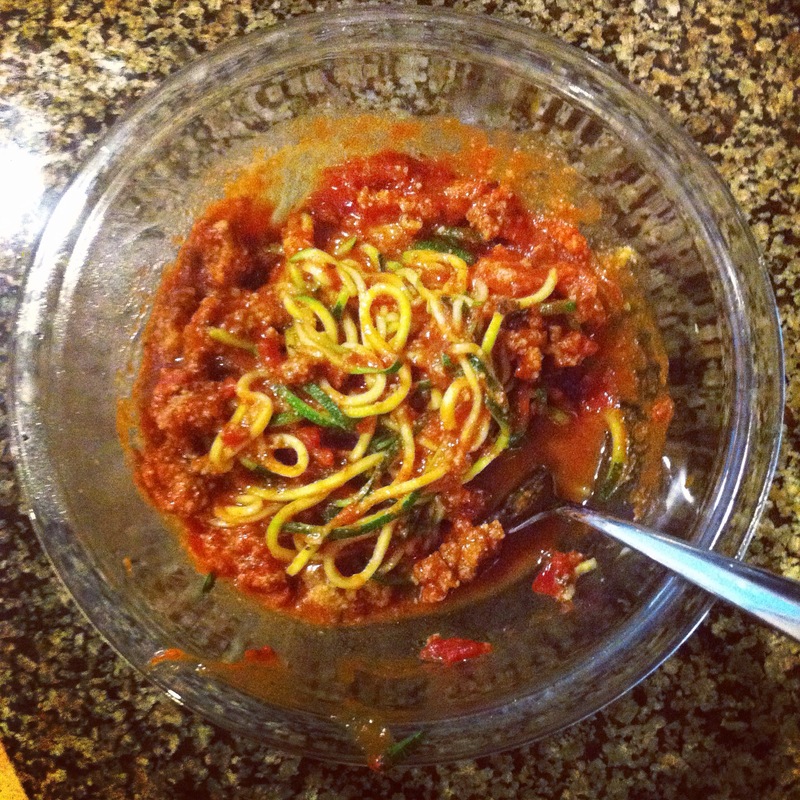 Zoodles pair beautifully with all kinds of meats, sauces, and seasonings. Zucchini is flexible like that. Needless to say, I am in LOVE! I have an apple slicer thing that I wonder if I could use this way. If it doesn’t work, I may try the Spirooli. Because that looks fantastic!